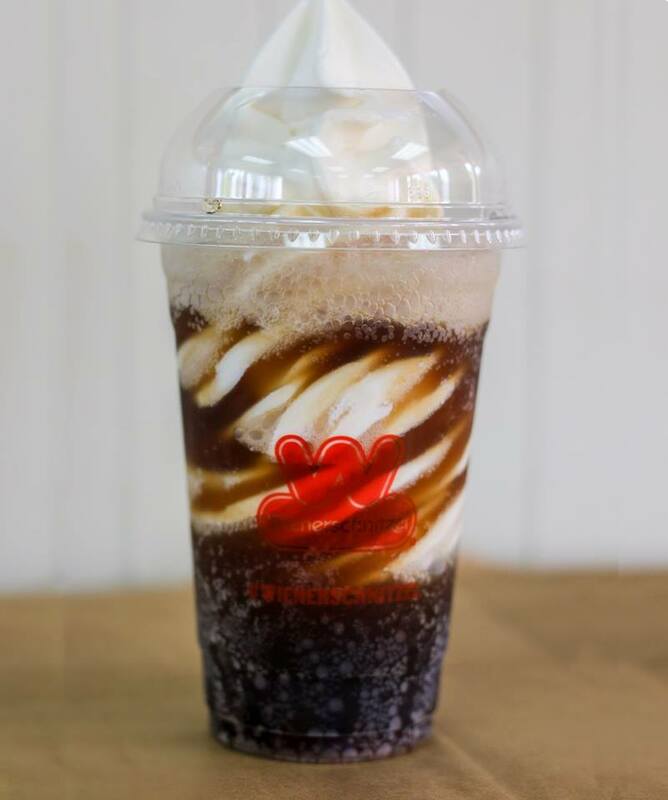 FREE Root Beer Float at Wienerschnitzel Coupon With ANY Purchase 8/6 Only! 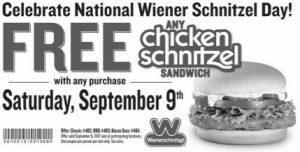 FREE Root Beer Floats with ANY Purchase Coupon for Wienerschnitzel today 8/6! Celebrate National Root Beer Float day! Just print THIS COUPON and get one FREE when you make any purchase! 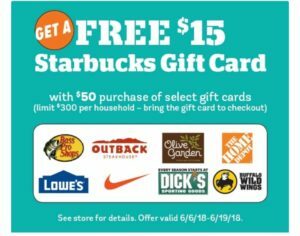 FREE $15 Starbucks Gift Cards With $50 Gift Card Purchase at Save Mart Through 6/19! At Savemart this week through 6/19!! 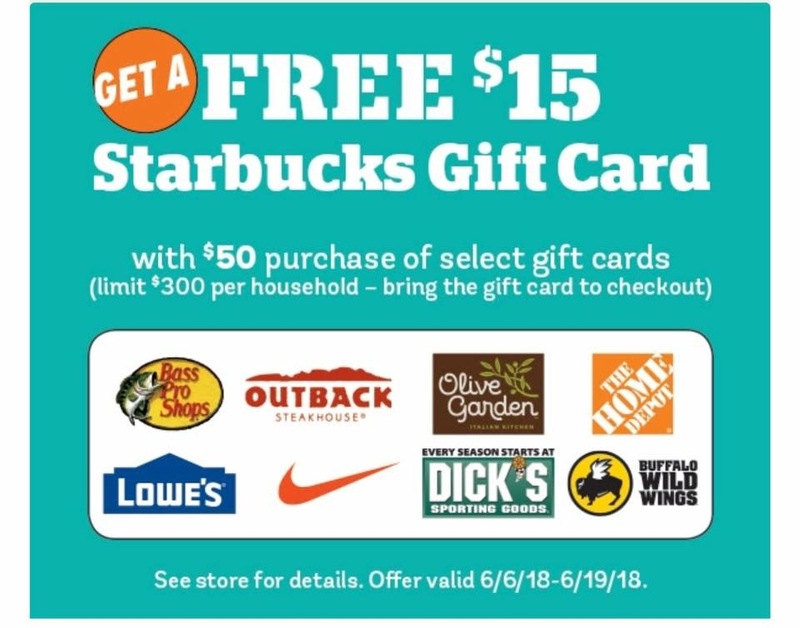 Buy $50 of participating Gift Cards and receive a $15 Starbucks Card!!! If you need a Father’s Day Gift, Birthday Gift-this is a great idea! You can use the $15 in Starbucks as another gift, or for you! Also, think ahead for birthday gifts or any other reason you may need a gift card! 50% Off Starbucks Latte or Macchiato June 7 Happy Hour! Get a Latte or Macchiato for 50 % off! This offer will be on your app, just let the barista know you are redeeming this offer! 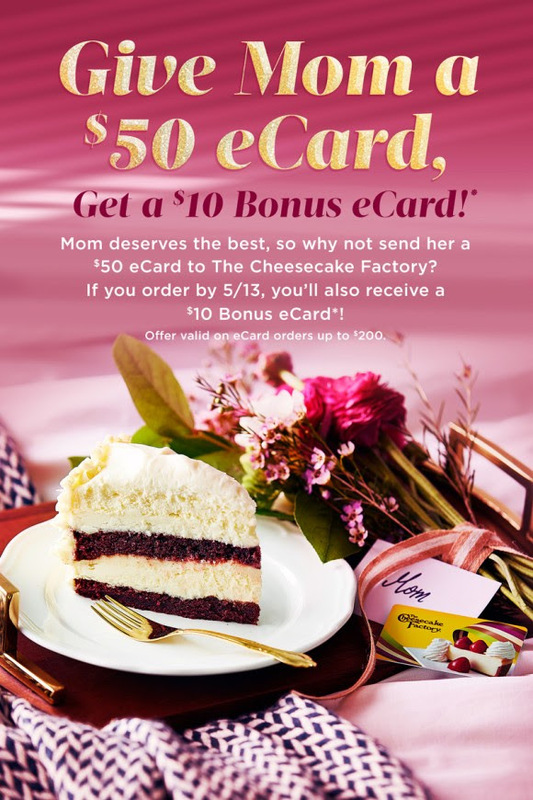 FREE $10 Cheesecake Factory Gift Card When You Buy a $50 Gift Card Before Mother’s Day! Give your mom (or yourself!) a $50 Cheesecake Factory Gift Card, and you will get a $10 Bonus eCard!!! On Saturday September 9, 2017 you can get a FREE Chicken Scnitzel Sandwich with ANY purchase! Just go HERE and print your coupon! 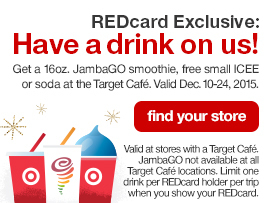 Get Ready For a FREE Drink at Target For Red Card Members 12/10-12/24! Do you have a Target REDcard!! If you do, you save 5% on every purchase! If you don’t have one, I would grab one. You don’t have to have a REDcard Credit Card. You can get a REDcard Debit card. That is what I have and it links to my checking account. 5% adds up-PLUS..
December 10-24, 2015 get a FREE Icee, Soda, or JambaGo Smoothie just for showing your card!! There are other times throughout the year where you can get free items just for showing your card. So, even if you aren’t going to use it, having one comes in handy! I will be going in for my JambaGo smoothie!! You can apply for a Target REDcard HERE. FREE Pizookie Day at BJ’s Restaurant and Brewhouse! FREE Pizookie September 29th at BJ’s with a $9.95 purchase! !